Photo taken by Ashley Jones at Lake Yale, 2016. Sometimes it’s hard to imagine Jesus as a real person. We get so caught up in the ideas of Christianity that we forget about Him, the Center of it all. The problem is that if we can’t imagine Jesus alive on earth, how can we imagine Him dying for us? And if that proves difficult, how can we fathom His resurrection and eternal life at the right hand of God the Father? Since it’s hard to believe in something I can’t even imagine, I like to start there—with my imagination. In fact, when people say we should “meditate” on the things of God, that’s really what they’re saying: that we should imagine God and think on His Word. Birthday: I have always existed, but I was born on earth on Christmas Day. Education: Like all Jewish boys, I studied the Scriptures (the Law, the Prophets, and the Psalms) in the Temple until I was 12. I even taught the rabbis for a few days, but my parents picked me up and brought me home. I then followed in the footsteps of my earthly father, learning the carpentry trade. Family: I’m very close to the Holy Spirit and my Heavenly Father; we talk all the time. My mother follows my work as often as she can. I have earthly siblings, but I count all my followers as my brothers and sisters. Work: I still enjoy carpentry, but I am focusing on building my Church now. This involves a lot of travel, meeting people, performing miracles, fasting, and praying with my Heavenly Father. I now have a core group of 12 disciples, and I’m enjoying training them to be fishers of men. Goals: I am here to save the world from their sins so they can have a relationship with the Heavenly Father. Places Lived: Heaven. Nazareth. Egypt. Jerusalem. Now traveling to all neighboring cities and towns. Relationship Status: My bride will be the Church. If Jesus posted pictures on His Facebook wall, they would be of His disciples climbing out of boats to follow Him; of once-broken people dancing for joy after being made whole. There would be pictures of lambs in the field; of lilies in the valley; of storms at sea; and of the wilderness where He would retreat. Do we have to live like Jesus lived: remain single, learn carpentry, study Judaism, or travel throughout Israel? Do we need to learn Biblical languages so we can read the Bible in its original form? Are we supposed to perform miracles like Jesus? What about us girls? Does this include us? First, the New Testament is clear that there are no activities we can perform to gain God’s love and approval. Jesus’ sacrifice for our salvation was a free gift, one we did not earn (see Romans 8:1-4). Once we are saved by Jesus’ sacrifice, we become new creatures in Him–totally new people who will begin to look and behave like Jesus (see 2 Corinthians 5:17). In fact, the closer we get to Jesus in our spiritual walk, the more we act like Him; we just can’t help it! To be like Jesus, we need only seek Him and follow Him. It’s all about the focus of our hearts and the obedience of our hands and feet. 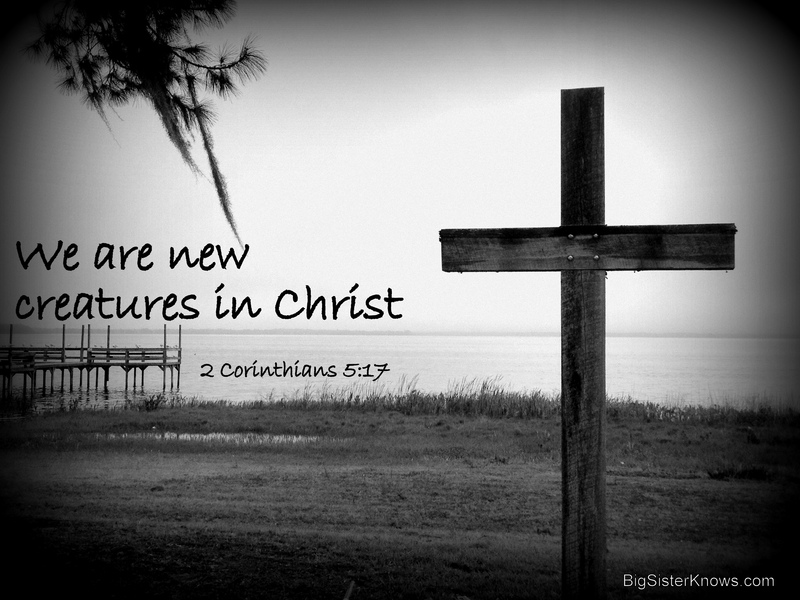 We are new creatures in Christ (see 2 Corinthians 5:17). We focus on the things of God (see Colossians 3:1-2). We love God with all our hearts (see Matthew 22:37). We love our neighbors as ourselves (see Matthew 22:39). We share the good news of Jesus with those around us (see Matthew 28:19). I encourage you to keep the person of Jesus alive in your heart and mind. Our faith is not about ideas, constructs, narratives, or any other buzzword that is so popular today. No, our faith is about the One named Jesus: the One who is still building His church; who still looks after His sheep; who still calls us to follow Him. Imagine Jesus. Consider His ways and His desires for your life today. I love the mental image of Jesus having a Facebook page. How true that would be!